Celebrate summer with My June Preschool Writing Journal. 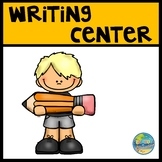 The month-long journal is designed for the beginning writers in Preschool. Lots of fun summer-themed activities are included so your little writers will enjoy their beginning writing, drawing, and coloring experiences on a regular daily basis. 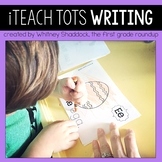 Hickory Dickory Dock themed A-Z Tracing preschool writing practice worksheets. Diwali themed A-Z Tracing preschool activity worksheets. Preschool writing. 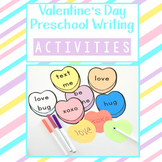 Basketball Sports themed Trace the Letter preschool writing worksheet. 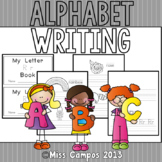 This workbook focuses on prewriting skills, featuring activities that help develop fine motor skills and teach simple writing techniques. 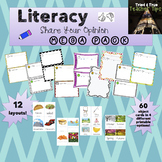 Content in this workbook is aligned with the Common Core Standards and was curated by the teachers at Education.com. Students will draw pictures of three things they love, then practice writing "I LOVE" on the dotted lines next to the picture. 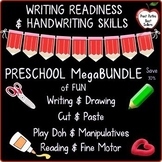 Optional: teachers can write on the blank line what the children drew pictures of!